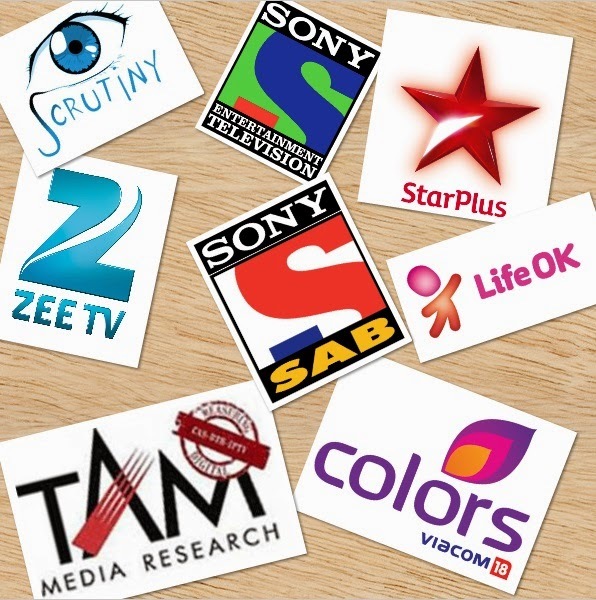 In week 52 (December 21 -27, 2014), most of the channels in the Hindi GEC universe saw a decline in their ratings except for Life OK and SAB TV which saw marginal gains in their ratings. According to data sourced from TAM subscribers, Star Plus in week 52 lost maximum ratings points in comparison with other top channels. The channel’s ratings dropped from 637 million GVTs in week 51 to 596 million GVTs in week 52. The channel continues to maintain a comfortable lead on top of the ratings chart. Colors in second spot saw its ratings dip marginally to 492 million GVTs in week 52 from 500 million GVTs in week 51. This is a minor setback for the channel who had managed to strengthen its ratings last week to 500 million GVTs in week 51 from 450 million GVTs in week 50. Zee TV too saw its ratings take a big dip in week 52 as it recorded 427 million GVTs from 474 million GVTs in week 51. This is a setback for the channel that had garnered high ratings during the previous week as it increased to 474 million GVTs from 398 million GVTs in week 50. Life OK saw its ratings increase marginally to 329 million GVTs in week 52 from 327 million GVTs in week 51. The channel continued its ratings increase from last week as it increased to 327 million GVTs in week 51 from 289 million GVTs in week 50. SAB TV saw the maximum increase among top Hindi GECs this week at its ratings increased to 320 million GVTs from 310 million GVTs in the previous week. The channel’s ratings have been on the rise since last week as it had risen to 310 million GVTs from 289 million GVTs in week 50. Sony Entertainment Television (SET) posted a marginal decline in its ratings this week to 237 million GVTs from 240 million GVTs in week 51. It is a minor setback for the channel as it had increased its ratings last week to 240 million GVTs from 229 million GVTs in week 50. Zee Anmol’s ratings declined to 81 million GVTs in week 52 from 85 million GVTs in week 51. While Star Utsav saw an increase in its ratings this week to 75 million GVTs from 72 million GVTs in week 51. Rishtey saw its ratings stay the same as last week at 64 million GVTs in week 52. While Big Magic gained ground as it increased its ratings this week to 63 million GVTs in week 52 from 60 million GVTs in week 51. Zindagi declined in its ratings this week 29 million GVTs from 32 million GVTs in week 51. Sony Pal too saw its ratings fall marginally to 23 million GVTs in week 52 from 25 million GVTs in week 51. Sahara One saw its ratings increase to 13 million GVTs in week 52 from 11 million GVTs in week 51. Epic channel posted an increase in week 52 with a rise of 5.3 million GVTs from 4.53 million GVTs in week 51. Screw Sony for being so inconsiderate with Humsafars, obsessed with CID and just not creating any buzz about the show whatsoever.